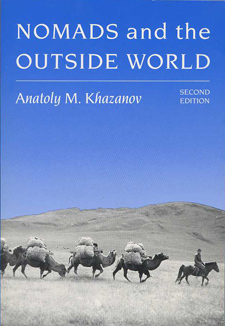 This is the first paperback edition of Anatoly M. Khazanov's famous comparative study of pastoral nomadism. Hailed by reviewers as "majestic and magisterial," Nomads and the Outside World was first published in English in 1984. With the author's new introduction and an updated bibliography, this classic is now available in an edition accessible to students. Anatoly M. Khazanov is professor of anthropology at the University of WisconsinMadison. He was formerly a senior scholar at the Institute of Ethnography, Academy of Sciences of the U. S. S. R., in Moscow and professor of social anthropology at the Hebrew University in Jerusalem. The author of nine books and more than 100 articles, he is a Fellow of the British Academy. No restrictions on printing or copying, access on six different devices.